Students can see how high they can stack their candy hearts, record their scores and graph it. They can also sort candy heart colors and graph those. 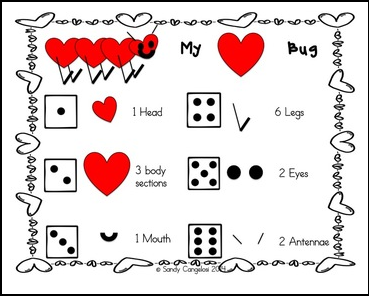 I've also provided a Love Bug dice game that's similar to Cootie.